Aleppan poet, professor and doctor Fouad M Fouad, head of the Middle East office of the German Heinrich Böll Foundation Bente Scheller and Der Spiegel correspondent Christoph Reuter discuss the expansion of religious extremism across the region and consider its potential long term impact on Syria and its people. Women’s empowerment: How permanent are the recent gains made by Syrian women? Two Syrian refugee women living and working in Shatila, Beirut come together with two women active within Syria in the fields of media and women’s development to discuss the nature and permanence of recent gains made by some Syrian women. Can the Syrian diaspora play a role in rebuilding Syrian society? Artist Ehab Aljaby, student Kinda Kokash and journalists Lava Selo and Reem Maghribi discuss their role, as diaspora Syrians, in the future and redevelopment of their war-torn country. Freedom of Expression: How freely can we speak now? Broadcast journalist Nada Abdul Samad, photojournalist Ammar Abd Rabbo and Ayman Mhanna, director of the foundation named after assassinated journalist Samir Kassir, discuss changes in the notion and practice of freedom of expression among Syrians and Arabs as a result of the recent conflicts in the region. How does migration affect the outlook and future of Syrian youth? Three Syrians currently living in Sweden – artist Nada Ali, journalist Asbed Wanes and medical doctor Bayan Yousef – discuss the effects of migration on the outlook of Syria’s youth. Funding culture in times of distress – why support arts & culture when relief efforts are under-funded? 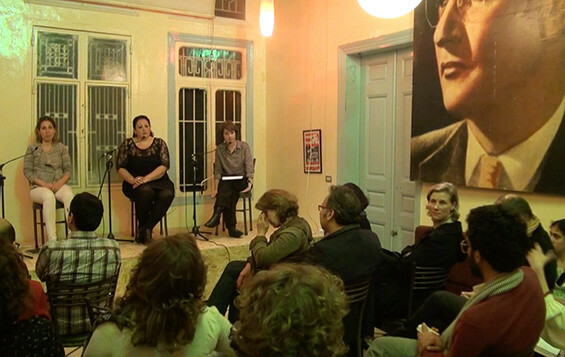 In an arts center in the Beirut camp of Shatila, Julia Jamal of Basmeh & Zeitooneh, artist Roy Dib and magazine editor Anis Mohsen discuss the value of supporting the development of arts and culture during times of war, displacement and destruction. Preserving musical heritage: Does Syria need its past to build a creative future? 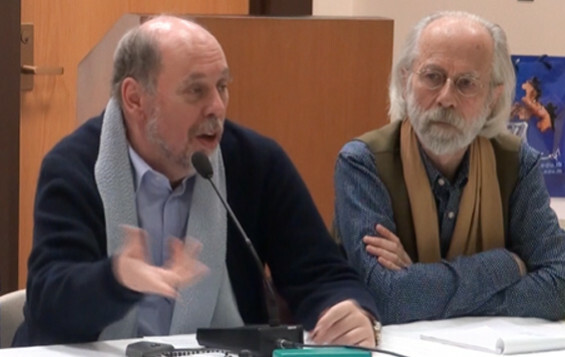 Four experts in music and musicology – Nidaa Abou Mrad, Jean During, Richard Dumbrill and Laurent Aubert – come together at the American University of Beirut (AUB) to discuss Syria’s music heritage and its value to the future of the country’s creative development. Preserving artistic identity – How do Western genres influence Syrian voices? Rock musician Khaled Omran, classical musician and musicologist Ghassan Sahhab and rapper Karine ‘La Gale’ Guignard discuss the relationship between personal and musical identity and consider the effect of migration on the musical styles and output of diaspora musicians. Can cultural initiatives help heal fractured societies? Three professionals in the fields of culture and development – Sana Yazigi, Alma Salem and Manal Eid – discuss the benefits and methods of using culture and cultural initiatives to encourage community cohesion and dialogue. 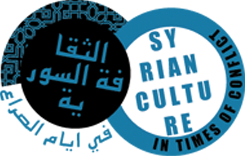 The role of Syrian cultural actors – Do Syrian artists have a duty to reflect the conflict in their works? Visual artist Oussama Diab, cultural curator Jumana Al-Yasiri, musician Hani Al Sawah and film-maker Afraa Batrous consider the roles and responsibilities of artists during conflict, displacement and reconciliation. Architects from Syrian, Lebanon and Bosnia – Mohamed Al Mufti, Arna Mackic and Rania Sassine respectively – are joined by cultural heritage specialist Qaisar Mahmood to discuss the redevelopment of urban spaces destroyed by war and the importance of considering the needs of society and destroyed communities in the process. Raghad Mardini, Racha Salah and Roger Assaf, all active in the support and promotion of artistic and cultural initiatives, discuss opportunities lost and gained by Syrian artists during the first three years of the ongoing conflict. 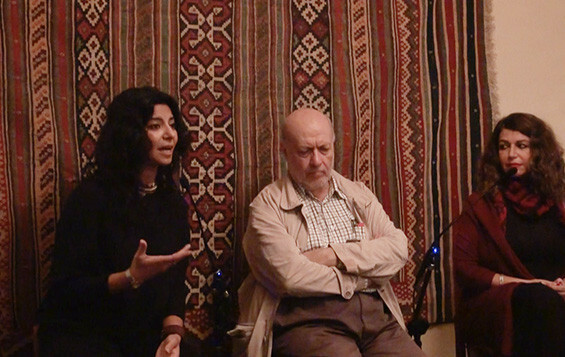 In the first discussion of the series, gallerist Samer Kozah, music festival organiser Hannibal Saad and thespian Hanane Hajj Ali review the effect of three years of conflict on the opportunities and outputs of Syrian artists across all genres and the effect these artists have themselves had on the arts scene regionally and globally.